For Amanda Moss ’19, the route to her prestigious internship this summer at National Basketball Association (NBA) headquarters in New York City began, improbably, with getting kicked out of a gym. Economics and business major Amanda Moss applied for a highly competitive NBA internship and was one of 50 students chosen from a pool of 6,000. She says that while she was a basketball player in high school, she went to the community gym in her Detroit suburb daily during the summer to practice her jump shot. One day, however, an employee of the Detroit Pistons NBA team told her she would have to leave because the courts were reserved for a team-run youth basketball program. After the event, she says, the employee chatted with her and ended up offering her a summer job at the Pistons’ youth basketball camp. 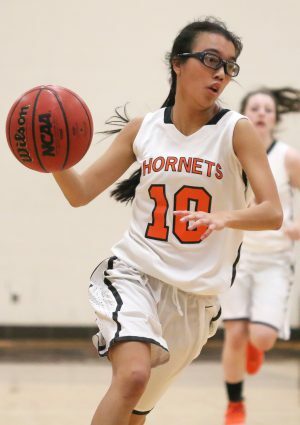 Amanda Moss, who plays on Kalamazoo College’s women’s basketball team, is working in an NBA internship this summer. “I did that every summer for four years,” says Moss, who plays women’s basketball and lacrosse and was just named to the Jewish Sports Review Women’s College Lacrosse All-America Team for the second year in a row. Along the way, she got to meet Pistons players including Andre Drummond and Reggie Jackson and people in the team’s corporate office. So when it came time to seek an internship in summer 2017, she was well-situated to apply to the Pistons. She worked in community relations and marketing for the team, conceiving a career forum for girls 9 to 16 and then running every aspect of the event, which included presenting a panel of college basketball players and women business leaders. That, in turn, set her up for this summer’s internship. With the help of K’s Center for Career and Professional Development and with advice from her professors, the economics and business major applied for the highly competitive program and was one of 50 students chosen from a pool of 6,000. She’s working in the retail division of the NBA’s Global Partnerships Department, which manages all aspects of the league’s relationship with companies including Nike, New Era, Foot Locker and Amazon. That relationship includes activities such as licensing the sale of NBA-branded merchandise, arranging for advertising on NBA TV, approving the use of the NBA logo in social media messages and arranging player appearances at partner businesses, she says. Her role has been mainly in research. One assignment tasked her with finding out everything she could about how the NBA could work with Target Corp., and she says she discovered a natural fit in both organizations’ emphasis on supporting community voluntarism—a synergy around which her boss now is building a partnership program. She says her K education has given her a real advantage in her role, especially a business research methods course that prepares students for their Senior Individualized Project (SIP). Business and economics professor Timothy Moffit ’80 put a heavy emphasis on identifying information sources in research papers, so in a PowerPoint presentation to NBA professionals, she says, she included a final slide listing all of her sources—about 30, and many of them recognizable names. 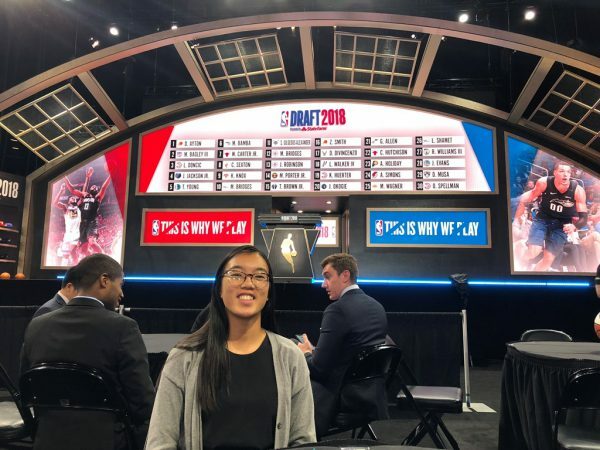 A Chinese minor who studied abroad in China during the 2017-18 school year, Moss also has had a chance to use her language skills, aiding her boss in a conference call with the NBA office in China, she says. And content- and video-editing skills she learned in a documentary filmmaking course have turned out to be in high demand, as well. With the experience gained in her internships, and a planned SIP contrasting consumer perceptions of professional sports in the United States and China, she hopes to land a corporate job in international sports after graduation. Her ultimate goal—“really just a dream” at this point, she says—would be to start a nonprofit venture that uses sports to connect with and empower Chinese girls. “I was adopted from China, and when I went to my study abroad in China, I got to volunteer coach in some of the schools, and there was a huge absence of girls in all of the basketball programs,” she says, adding that Chinese girls get little encouragement to participate in team sports in general. 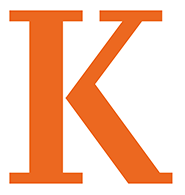 In another effort to help people achieve their goals, she is teaming with fellow Kalamazoo College athletes Alex Dupree ’21 and Jordan Wiley ’19 to form a sports business club for K students that will aid them in charting their way to careers in sports-oriented businesses and link them with alumni in the field. Moss’ enthusiasm and cooperative yet competitive spirit wins high praise from K physical education professor and coach Jeanne Hess. This entry was posted in News Stories and tagged career development, Chinese, economics, internships, K-plan, liberal arts, physical education, Senior Individualized Project, student organizations, study abroad, . Bookmark the permalink.